Cambridge Court School provides a holistic approach which encourages all students to challenge themselves and develop their confidence in the three pillars of the INSPIRED vision : the academic, sporting and artistic fields. Every student's unique talent is nurtured. Students are encouraged to challenge themselves and learn in new ways to solve the same problem/deal with a particular situation. 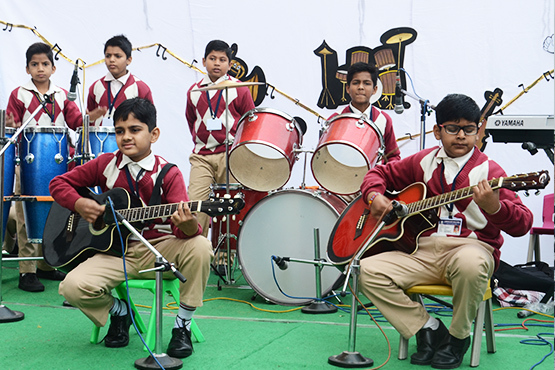 The School encompasses in its curriculum child development courses ranging from sports to STEM, music to case studies. Some of the courses are exclusively running at Cambridge Court World School. The school even works in the field of child growth and development classes. Understanding the plight of working parents, the school works with a team of teachers specialized in pedagogy and work on curriculum which incorporate childhood development courses.